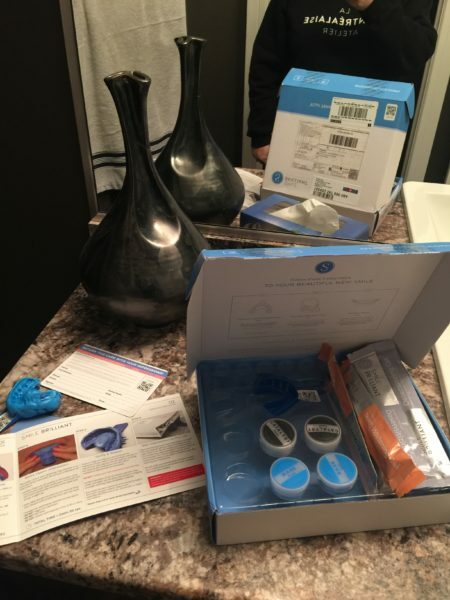 So when Smile Brilliant offered to send me custom fitted teeth whitening trays in exchange for my honest review, I was thrilled and very eager to try this process at home and partner with this company. First step was to make the molds and then send them back so they could create the custom fitted trays. The process took maybe 15 minutes and then I sent them away. A couple weeks later I received my trays and was ready to go. I started the process in early December and completed all the tubes last week. I would alternate nights as I have sensitive teeth and didn't want to feel that hurt. One thing I noticed was how effective the desensitizing gel was for after the treatment; I could rarely notice the next day that I had done a treatment. 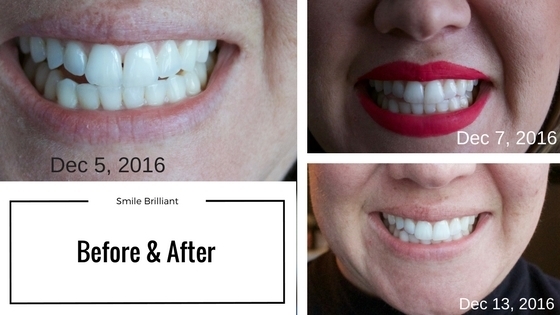 The other thing I noticed that was better with Smile Brilliant than any other treatment I have tried is that it actually whitened my lower teeth. Most times I could still see some yellow but with this it made the majority of it disappear. The other aspect I noticed is the colour of the white...it really was brilliant. Like a crisp, look at me, I should be a celebrity, white. So for someone with already quite white teeth, I was thoroughly impressed with the level of white I got my teeth to, the lack of hurt and the overall simplicity of the treatment. A definite 2 thumbs up from me! Looks amazing! Love a good teeth whitener! LOVE that beautiful smile!!! Great product! You definitely have a beautiful smile! 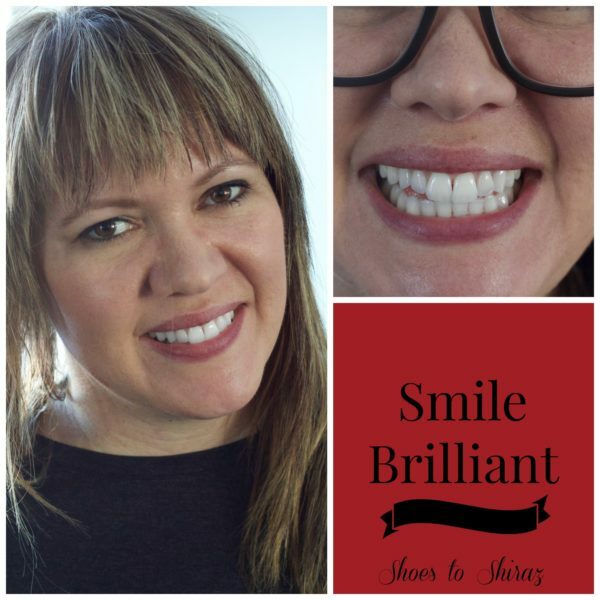 This is something I want to look into as soon as I'm done with Invisalign. I really want to try a teeth whitening system and this ones seems simple enough. I ordered one off eBay awhile back and am obsessed. And it was only $11!! Wow! Your results are great! And I love your smile :) Happy weekend friend! Gorgeous and I love your smile! Yup, definitely will be continuing with this. I typically avoid whitening products because of my sensitive teeth as well. This sounds great with its desensitizing product! You have a gorgeous smile and beautiful white teeth! 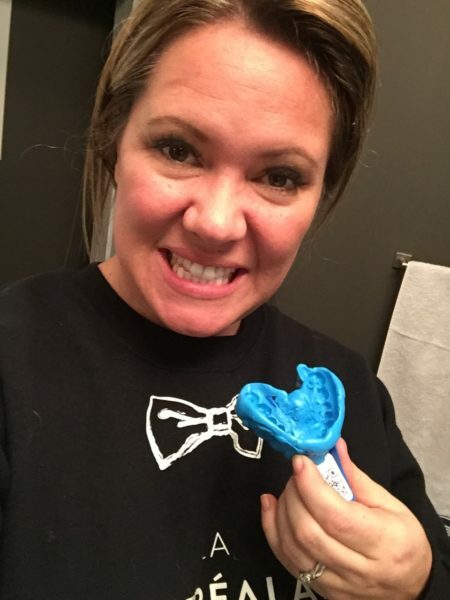 It's great it worked for you even though you had sensitive teeth! :) You have a beautiful smile too - both before and after! Beautiful smile on a beautiful lady! I loved this product when I used it! And I still have some of the gel left that I'm saving to rewhitten when I need it! I kept a couple for that purpose too. Coffee and wine for the win! I like to smile when my teeth are white!